Description: Interview with James Kelly, director of South Boston Information Center, about a demonstration at Carson Beach. He describes it as a visit by armed black militants from Columbia Point. Then he expounds on his strident views on busing and affirmative action. SBIC storefront and sign “Welcome to Boston. The city is occupied. A boycott exists. A tyrant reigns. Law is by decree. People are oppressed. The spirit of freedom still lives.” Kelly on the street, talking to a pedestrian. Kelly sitting at desk in back room answering phone. Description: South Boston High School exterior. Background comments of pedestrians talking to camera operator and reporter. Pam Bullard interviews headmaster Jerome Wynegar on what programs his school will offer, including core curriculum and vocational education. Wynegar says racial problems have been aggravated by outside agitators. He adds that the school is enrolled to capacity, and cannot accommodate students who wish to return after dropping out. He says that the school should make sure to listen to the suggestions of the students, and those students who dropped out, to try to improve the school. He commends the faculty. Additional comments from Wynegar as they shoot cutaways. Shots of graffiti painted on pavement, which reads “Stop Forced Busing.” Several takes of reporter voice over and standup. Description: South Boston residents pack St. Monica's Church to hear City Councilors James Kelly and Albert "Dapper" O'Neil and Rev. Earl W. Jackson, Sr. oppose mayor's public housing desegregation plan. Description: Christy George reports that City Councilor James Kelly objects to an interfaith, interracial prayer service to be held in South Boston because he fears that the meeting could be seen as an endorsement of the city's plan to integrate South Boston housing projects. Kelly has called for the meeting to be moved to another location. Interview with Father Thomas McDonnell of St. Augustine's Church in South Boston and Reverend John Borders of the Morningstar Baptist Church. McDonnell and Borders say that South Boston is not a racist neighborhood. Interview with Jim Kelly. George quotes Kelly as saying that he opposes forced busing, racial quotas, and forced housing. Community leaders have met with Mayor Ray Flynn to discuss the peaceful integration of public housing projects, and hold a press conference. Doris Bunte of the Boston Housing Authority, Charles Stith of the Union United Methodist Church, John O'Bryant of the Boston School Committee, and Don Muhammad of the Nation of Islam, Roxbury speak at the press conference. George reports that Bernard Cardinal Law (Archdiocese of Boston) endorses the meeting. George notes that Flynn is pushing for housing integration over the objections of South Boston residents. 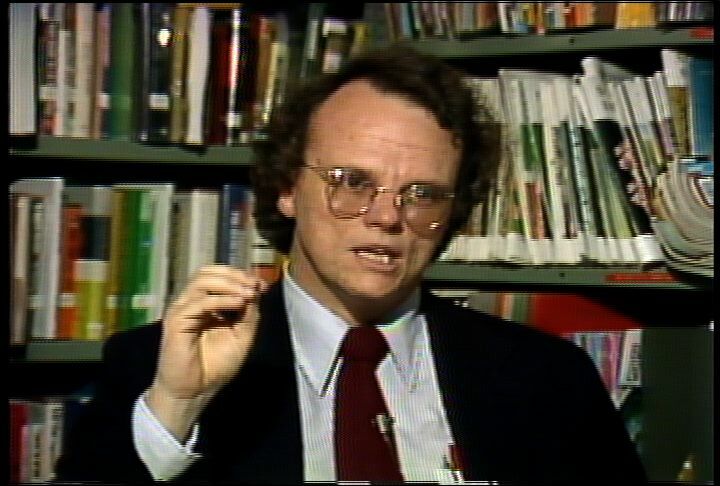 Footage of Flynn at a community meeting in South Boston and footage of anti-busing activity in South Boston in 1977. 1:00:05: Visual: Footage of Father Thomas McDonnell (St. Augustine's Church in South Boston) and Reverend John M. Borders, III (Morningstar Baptist Church in Mattapan) sitting together for an interview in South Boston. McDonnell says that both men believe in the power of prayer. Christy George reports that religious leaders want to hold an interfaith, interracial prayer meeting at St. Monica's Church in South Boston; that James Kelly (Boston City Council) has taken out a half-page advertisement in the South Boston Tribune; that the ad calls on the Catholic Church to move the prayer meeting to another location. George reports that Kelly fears that the prayer meeting could be seen as an endorsement of the city's plan to desegregate public housing projects in South Boston. V: Shot of the exterior of St. Monica's Church; of Kelly's advertisement in the South Boston Tribune; of a statue in front of the church. Footage of McDonnell saying that racism is a moral issue. Borders says that prayer is a means to change the people's hearts. 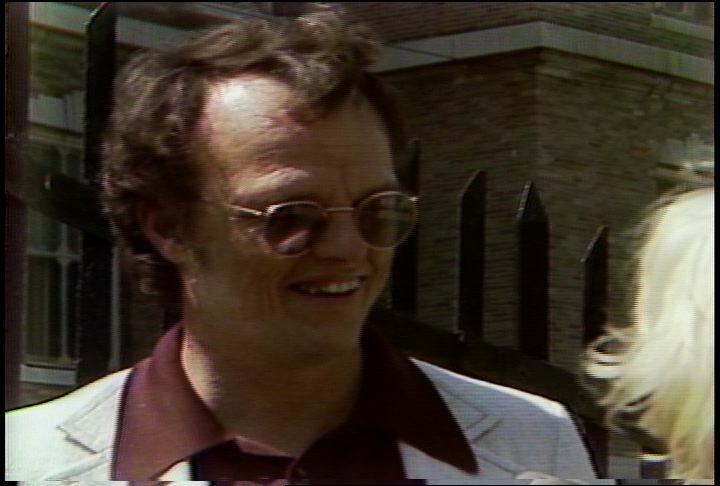 Footage of police arresting two women on G Street in South Boston on May 12, 1977. Shots of police cruisers escorting school buses along a city street; of a housing project in South Boston. Shots of a sign for the Old Colony Housing Project; of a white woman and children in front of a housing project building. George notes that South Boston became a battleground during school desegregation. 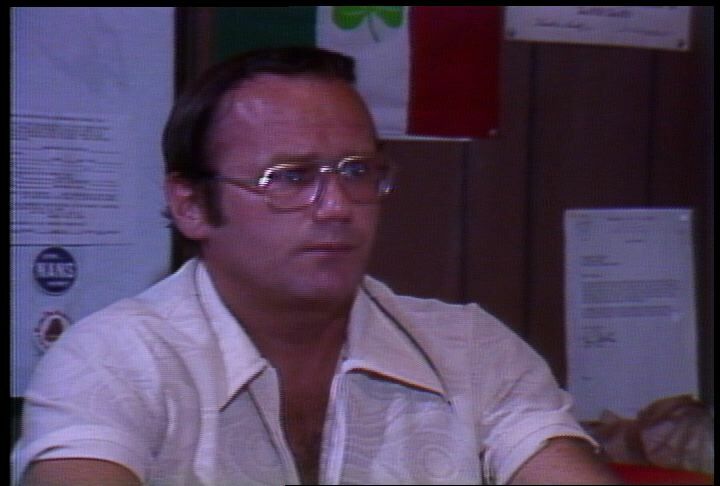 George reports that Ray Flynn (Mayor of Boston) has announced that the public housing projects in South Boston will be integrated; that Flynn alienated many South Boston voters by pushing for public housing integration. 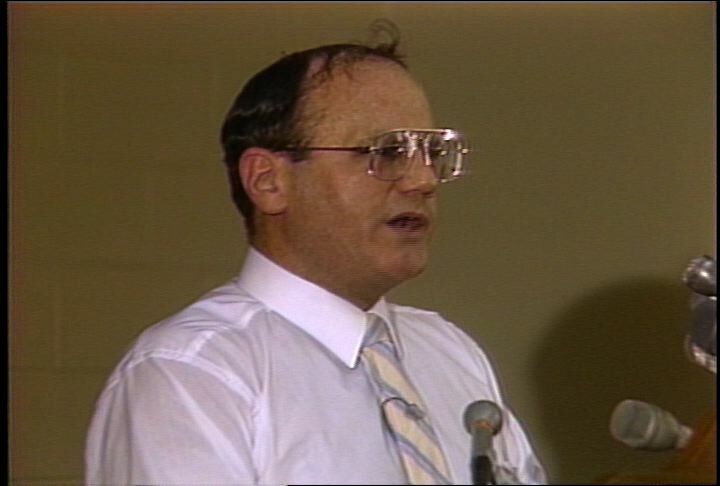 V: Shot of Flynn approaching the stage at a community meeting in South Boston on January 12, 1988. The crowd jeers and boos as Flynn walks on to the stage. Shot of audience members seated at long tables. Footage of Kelly at the community meeting. Kelly says that South Boston residents will serve time for civil rights violations if the public housing projects are integrated. The crowd applauds Kelly. George reports that community leaders met with Flynn today to talk about peaceful desegregation of the projects; that attendees at the meeting expressed thinly disguised scorn for Kelly. V: Shot of Doris Bunte (Boston Housing Authority) speaking at a press conference. 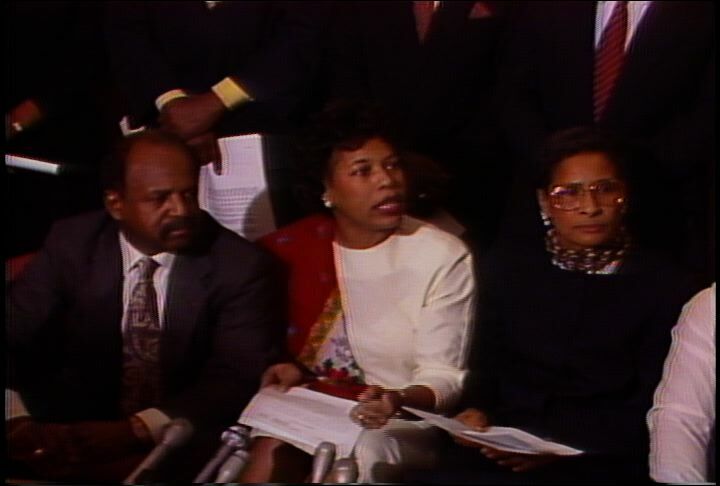 Charles Stith (Union United Methodist Church) and two other African American community leaders stand behind her. 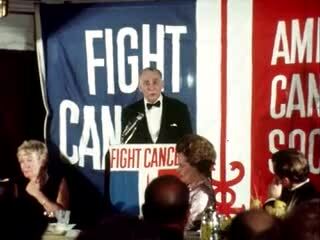 Footage of John O'Bryant (Boston School Committee) at a press conference. A reporter asks him if Kelly's name was mentioned in the meeting with Flynn. O'Bryant replies, "Who's he?" George reports that Kelly believes that affirmative action is reverse racism. George quotes Kelly as saying that "assigning the needy to public housing based on race is morally and legally wrong." V: Shot of Kelly at his desk. A quote from Kelly is written out in text on-screen. Footage of Kelly saying that supporters of equal opportunity must oppose forced busing, racial quotas, and forced housing. Footage of Stith saying that there are some elected officials who insist on keeping the city divided; that religious leaders are making an effort to unite the city. Footage of Minister Don Muhammad (Nation of Islam, Roxbury) saying that not all Irish residents are racist; that African Americans in Roxbury are not all drug addicts. George reports that Bernard Cardinal Law (Archdiocese of Boston) endorsed the prayer meeting. George quotes Law as saying that publicity "could lead to the erroneous impression that racial discrimination is a problem of geography, which it is not. . . . Racial discrimination is a problem of the human heart." V: Shot of Law addressing an audience. A quote from Law is written out in text on-screen. George reports that one of the goals of the prayer meeting is to debunk the myth of South Boston as a racist neighborhood. V: Shot of a white family walking in front of St. Monica's Church. Footage of Borders saying that Kelly does not represent the views of all South Bostonians. Borders says that he had no problems in South Boston when he drove to today's interview at the church. George reports that religious leaders say that the prayer meeting is not about politics; that the controversy surrounding the meeting has become political despite the efforts of religious leaders. Description: Men in front of James Michael Curley Recreation Center aka L Street Bathhouse in South Boston. Exteriors of the building. Governor Ed King talks and poses for pictures, shakes hands, and talks to constituents. State Senator William Bulger walks across street toward L Street Bathhouse. Bulger shakes hands and makes jokes. They hold a press conference. Bulger says he spent five summers lifeguarding at the Bathhouse and it was the best job he ever had. He endorses Governor King for reelection. King presents Bulger with a check for $15 million from state takeover of Hynes Auditorium. Senator Chester Atkins joins them at podium. Shots of reporter Janet Wu listening to the press conference. King continues talking about the accomplishments of his administration. King leaves press conferences and shakes hands. Wu asks King why he chose to give the check to Bulger rather than the mayor, and why they held the press conference at the L Street Bathhouse. Description: "Ground breaking" ceremony for the Central Artery project (aka the Big Dig), where they used welding equipment to dismantle a bridge, rather than shovels to literally break ground. Interview with Public Works commissioner Jane Garvey on nature of the project and its funding. 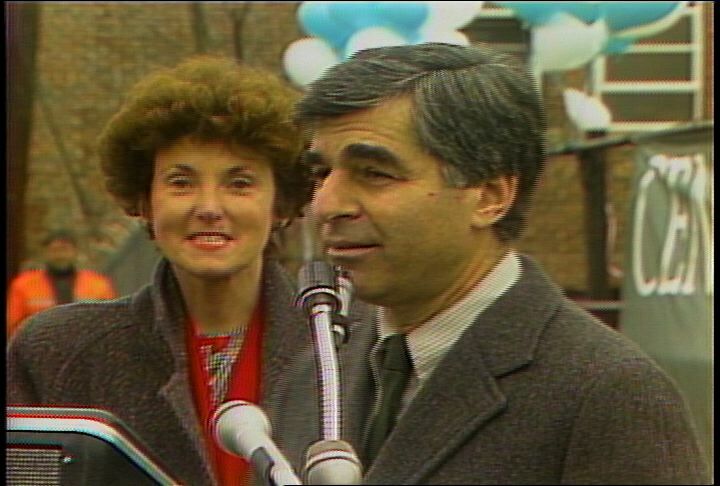 Michael Dukakis and William Bulger speak at the ceremony. At the same time, a public hearing is being held at the State House, where State Inspector General Joseph Baressi is trying to overhaul the way the state does business with consultant, which Baressi thinks is a problem with the Central Artery project. 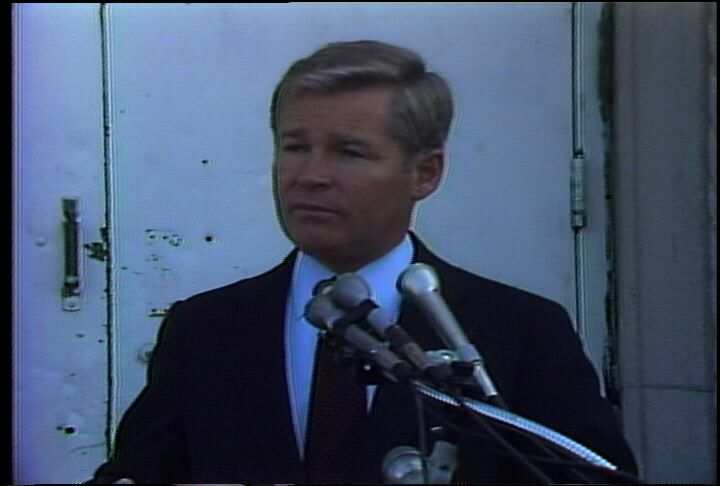 Following the edited story is b-roll of the construction site environs and the ceremony, as well as excerpts of Dukakis's speech, Bulger's speech, and other speakers. Description: Meg Vaillancourt reports on negotiations in court between the Boston Housing Authority (BHA) and the NAACP over compensation for minority families who were victims of the BHA's discriminatory housing policies. Vaillancourt notes that the BHA and the NAACP disagree on the number of families to be compensated and the amount of compensation due to them. Vaillancourt interviews Dianne Wilkerson (NAACP) and Albert Willis (Attorney, City of Boston) about the negotiation. Vaillancourt adds that negotiations will continue until the next court date. Vaillancourt reports that the first African American families moved into a South Boston housing project last month as part of the court-ordered plan to integrate public housing. Vaillancourt's report is accompanied by footage of African American movers at the Mary Ellen McCormack Housing Development and by footage of white residents of South Boston housing projects. 1:00:07: Visual: Footage of white children outside of a housing project building in South Boston. The children are keeping cool with a garden hose and a wading pool. Shots of two white women outside of the housing project building; of a baby playing in a wading pool. Meg Vaillancourt reports on the court case concerning the Boston Housing Authority's public housing placement policy. Vaillancourt reports that federal authorities have charged the Boston Housing Authority (BHA) with discriminatory practices; that the BHA has agreed to reorganize its policy of assigning tenants to public housing. Vaillancourt reports that the first African American families moved into a South Boston Housing Project last month; that the BHA has not decided how to compensate African American families who had been passed over in favor of whites on the waiting list. V: Shots of African American movers moving furniture and boxes from a moving truck into the McCormack Housing Development in South Boston. Vaillancourt reports that the city calls the African American families "disadvantaged." Vaillancourt notes that the city estimates that about 100 families have been "disadvantaged" by the policy. V: Shots of African American adults and children outside of a public housing project building. Vaillancourt reports that the NAACP has estimated that more than 2,000 African American families were passed over on the BHA waiting list; that the NAACP has brought a lawsuit against the city to gain compensation for those families. V: Footage of Dianne Wilkerson (attorney for the NAACP) speaking to reporters. Wilkerson says that the NAACP has always believed that the number of victims is approximately 2,000 families; that the BHA will end up finding that the NAACP's estimate is correct. Footage of Albert Willis (Attorney, City of Boston) being interviewed by Vaillancourt. Willis says that he does not know where the NAACP has gotten its numbers. Willis says that the BHA will discuss compensation beyond 100 families if the NAACP can provide evidence to back up its estimate. Shots of African American children playing outside of a public housing project. Vaillancourt reports that the NAACP and the city of Boston disagree on the amount of compensation for the "disadvantaged" families. 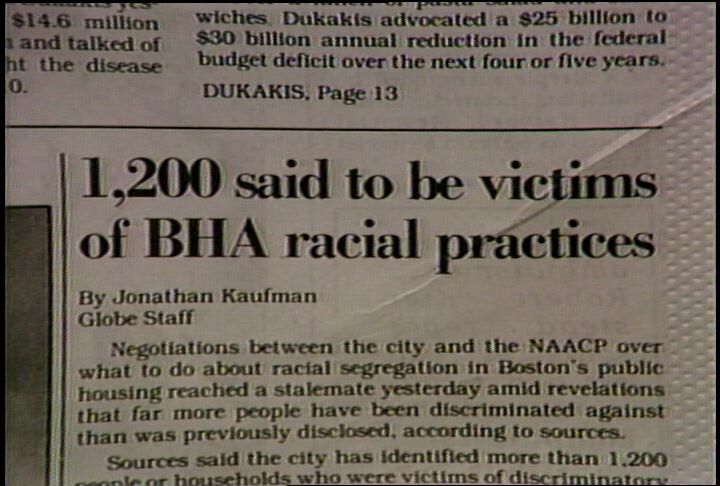 V: Shot of a Boston Globe newspaper article with a headline reading, "1,200 said to be victims of BHA racial practices." Vaillancourt notes that the Boston Globe newspaper reported that the BHA would pay $750 to each family. Vaillancourt adds that the NAACP wants each family to receive between $3,000 and $5,000. V: Shots of the exterior of the NAACP offices in Roxbury; of NAACP employees and volunteers in the NAACP offices. 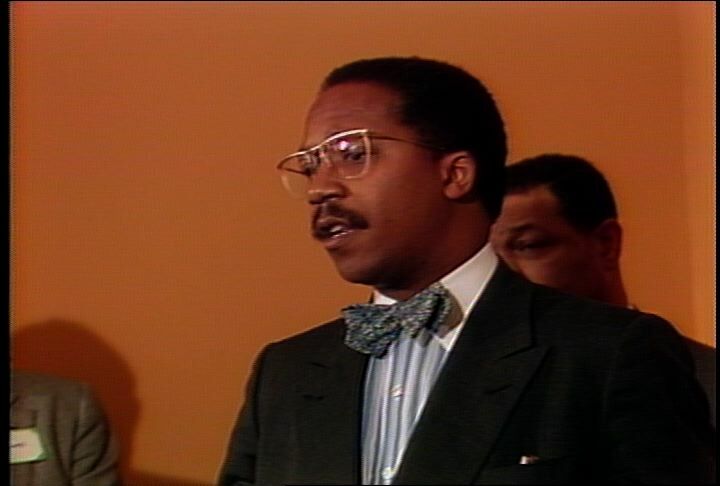 Footage of Willis saying that the money issue has been discusses by the city and the NAACP; that the discussions were productive. Vaillancourt reports that both sides said that the negotiations were productive. Vaillancourt notes that no issues were actually resolved; that the negotiations will continue until the next court date on Wednesday. Vaillancourt adds that the court will decide if the integration plan can continue if the two sides fail to reach an agreement.